When I was a kid I would use a torch to read under my quilt long after ‘lights out’. Some books were just too good to leave unfinished. 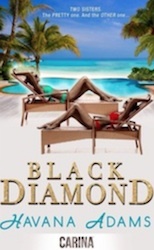 Reading Black Diamond, Havana Adams’ current release, took me right back to those days. I started reading it for a review but I Could. Not. Put. It. Down. The story of abandoned twin girls whose lives take vastly different turns after one is adopted by a Hollywood star and the other by a cruel pastor, sucked me in like quicksand. It was utterly brilliant from start to end. Once I’d finished Black Diamond I leapt straight into Havana’s first novel, Remember My Name and devoured that like a thirsty man in the desert. Where did this fabulous talent spring from? I wondered. I had questions, and Havana was kind enough to answer them. She didn’t reveal her true identity, but she did share a host of other fascinating details. Once you’re done here, treat yourself and hop on over to her blog. 1. How did you begin writing? I’ve always been a reader and writing seemed like a natural extension of reading. When I was 8 or 9, I wrote a 16 page Nancy Drew style kidnap adventure story. I remember feeling incredibly proud of that effort and I’ve never stopped writing since. 2. 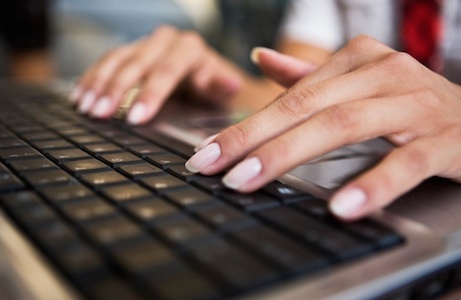 How do you juggle your day job and writing career? Juggling is quite hard but I freelance in my day job so I have some flexibility to squeeze in writing time around my commitments. In Lean In – Sheryl Sandberg talks about the notion that “done is better than perfect,” and that’s the approach I’ve taken to getting my novels written. I’d love to have a perfect schedule with dedicated time carved out for novel writing but that isn’t feasible, so I tend to embrace chaotic bursts of creativity when and where I can, particularly when I’m getting the first draft down. Also I’ve benefitted greatly from doing things like NANOWRIMO where in November a whole community of writers from around the world commit to writing a book in a month. There’s nothing like a competition or a deadline to get me fired up. 3. What books or authors have had a strong influence on you and your writing? Growing up I’d read anything I could lay my hands on – from Nancy Drew adventures and Famous Five stories to sneakily reading my sister’s Mills & Boon romances and Jackie Collins novels. I enjoyed the smart heroines of Louise Bagshawe’s early novels and the contemporary exotic settings of Tasmina Perry’s books. In terms of authors whose work I admire or who have influenced me, they include – Donna Tartt, Chimamanda Adichie, Malcolm Gladwell, Zoe Heller. 4. Who would play Grace and Lola in a big screen adaptation? Ooooh this is hard – it’s a demanding role. One actress would have to believably portray the physical and emotional differences of both Grace and Lola and also do an equally convincing American and British accent. 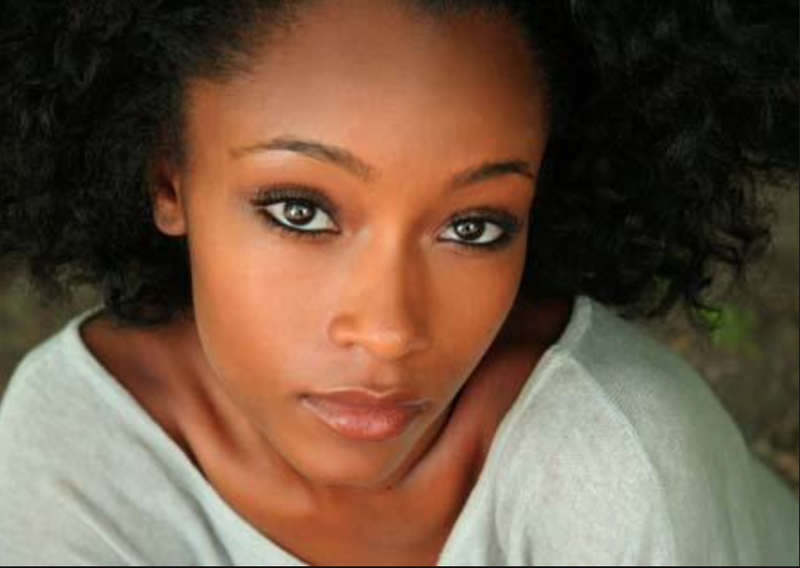 The actress Yaya DaCosta who was fierce and fab on America’s Next Top Model is emerging as a really interesting actress. Or maybe the British model Jourdan Dunn. Or we might have to find some newcomer twins who can act! 5. Black Diamond has a very intricate plot. How did you plan it out and get it all to hang together? I did quite a detailed plot outline before I started writing and then I wrote a timeline for each of the twins to make sure that it all logically fitted in together. I find planning a really important part of the writing process – having a road map when I start means I’m more likely to push through the tough parts in the middle to get to the end of a draft. In the rewrite process I did a lot of juggling and moving chapters around so that it all fitted together coherently. 6. Did you find either one of the sisters more sympathetic or relatable? The sisters both endure a lot because of the circumstances they are thrust into – so I empathised with both of them. As I wrote the novel, Grace I think emerged slightly as the sister whose pain cut deepest and because she’s a London girl, like me, I think I related slightly more to her. But, I think it’s important to see that though Lola has all the trappings of material wealth she too is emotionally damaged and it was important for me to get beyond the “IT” girl facade to explore her emotional depth too. 7. Your novels have great covers. How is the artwork chosen? The first novel I chose the artwork from an online book cover designer as I was self publishing but the artwork for Black Diamond and Remember My Name was selected by Carina UK, my publishers. 8. What lessons did you learn after your first novel, The Modeliser? 9. What do you find appealing about the romance genre? I read and write in a few genres but I think nothing beats reading a glamorous romance novel on a cold London day and wishing your were elsewhere. Romance novels are a kind of wish fulfillment and I enjoy writing them, planning the incredible locations that will feature in the novel and also coming up with a diverse and compelling cast of characters. Writing romance novels is a lot of fun and when it’s going well, it often doesn’t even feel like work – which is hugely appealing. 10. Can you offer one piece of advice to aspiring writers? Get Started – whether you’ve been dreaming of writing but haven’t written a word or you haven’t looked at your manuscript in three months – go and get started. Now! As the blaze of a township shack fire dies down, an elderly woman stands cradling two orphaned children – identical twin baby girls. Lola and Grace are sent to the local orphanage, but their shared journey soon ends there. Lola is chubby, pretty and healthy, while Grace is weak, thin and sick. When Hollywood actress Scarlet decides she wants to adopt a South African baby, she visits that same orphanage and chooses Lola immediately. She is never even told about Grace – who is hidden away, and given just weeks to live. Lola goes on to lead a privileged and pampered life in LA with Scarlet, while Grace, who miraculously survives, is raised by the strict and violent Pastor in North London. Although their lives progress on different continents, the same sense of abandonment still haunts them both. But when fate eventually draws them together in the most unexpected of ways, will they like what they find? Havana Adams is a London girl who left her heart in NYC and has collected a crazy amount of airmiles dashing back and forth across the pond. 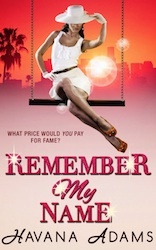 When she’s not plotting steamy romance novels, she works in the film and TV industry, which is the inspiration behind her first novel The Modeliser (republished as, Remember My Name). Havana loves movies, TV, reading, sporty things and baking cakes.